Zero Waste France has been campaigning for 20 years against excessive waste, and hopes to trigger a change through alternative lifestyle choices, public policy change and business initiatives. The collective says each person in France produces 590 kg of waste per year, most of it buried or burned, causing air, land and sea pollution. A three-day Zero Waste conference held last year and attended by 5000 people hinted at growing interest in waste reduction. 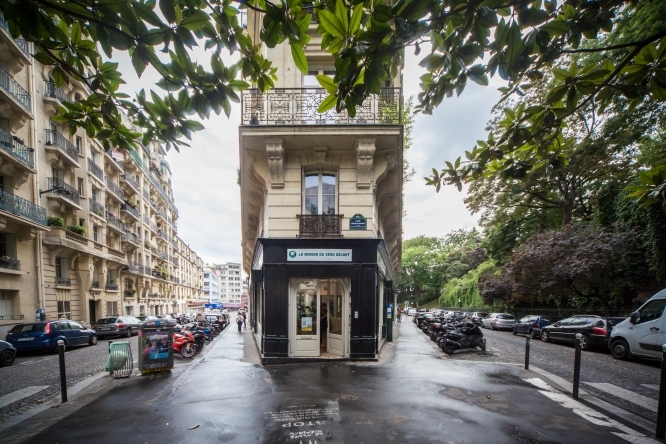 That prompted the collective to open a visitor centre in the heart of Paris, using a start-up fund of around €30,000. The collective advocates a change in the way consumer goods are produced – making use of natural resources and energy, and using durable materials. An on-site shop sells silicon and paraben-free cosmetics, reusable lunch boxes, cleaning wipes and even reusable sanitary towels. An on-site library will loan books on environmental topics, while a café will sell jams and juices in containers that can be returned to the store for reuse. Courses and lectures will be offered on how to minimise waste in the contexts of cooking and personal care. People will be taught basic skills such as sewing and how to make homemade shampoo, deodorant and toothpaste. “The aim is to demonstrate that, even in a field such as catering, solutions have devised by companies such as Confiture Re-belle, Club Maté, I-lunch and Monsieur Ticicote, exist at the local level,” said Zero Waste director Flore Berlingen. She anticipates that up to 4000 people will attend the inauguration.